Some cats can be finicky and fussy about food. However, if fed the correct way, you can bring this type of behaviour to an end. After all, fussiness is not an inherent trait bred into cats. Let’s explore the different reasons why a cat may be exhibiting signs of fussiness, and look into what you can do to change your cat’s fussy eating habits. It’s important to be aware that what might initially look like fussy eating may just be your cat eating slowly and intermittently. Many cats are nibblers and prefer to have a mouthful of food here and there as they please. Don’t worry if they don’t finish their meal straight away, it is by no means a conclusive sign that they’re being fussy about the food. In fact, studies have shown that if left to their own devices, cats would choose to have up to 14 tiny meals a day! Your cat may be avoiding the diet prescribed to them if they have been eating too many treats. You should not give your cat scraps from a meal or too many cat treats. Not only will they fill themselves up, but they might also get to a point where they abstain from their diet because all they want to eat is treats. Your cat may complain for a while if you take away their treats, but eventually they will start eating the food in their bowl, and by doing so, they’ll get the nutrition they require from a complete and balanced diet. Try to ensure that no one else is feeding your cat treats, whether in your household or in the neighbourhood. It only takes one person to change your cat’s expectations about food. If possible, speak to your neighbours to ensure they aren’t allowing your cat to eat at their home. If you’re changing your cat’s food, the best way to integrate their new food into their diet is to introduce it gradually. Start by mixing a little of the new food with their regular food – gradually increasing the amount until your cat is used to the taste and substance of the new food. One important factor which can affect a cat’s appetite is the way that the food has been stored. Cat’s noses are a lot more sensitive than ours, so if the food bag has been left open or decanted into a storage bin, it might start to smell ‘off’ to your cat – even if it smells fine to us. That’s why it’s important to store food correctly at all times; in a sealed bag, within a sealed storage container. Even the temperature of the food served is important, as cats generally prefer to eat food that is at room temperature or slightly warmer. Or, it may not be the food that’s keeping your cat from the food bowl, it could be the surrounding environment that’s having an effect on their eating habits. For example, something may have spooked them (e.g. a loud, sudden noise) when a particular food was served. Has anything changed in your house, like a new cat, a new puppy, or even a new bowl? Cats can have odd compulsions and food aversions just like people. They may just be exhibiting signs of fussy eating because they want their old bowl back or their old feeding station returned, or perhaps they want their food bowl returned to the location that they’re used to. As a general rule, cats prefer their own bowl. They may even prefer total privacy, which means they should have their own specific spot far away from any other cats in the house, and should be bothered as little as possible while they eat. 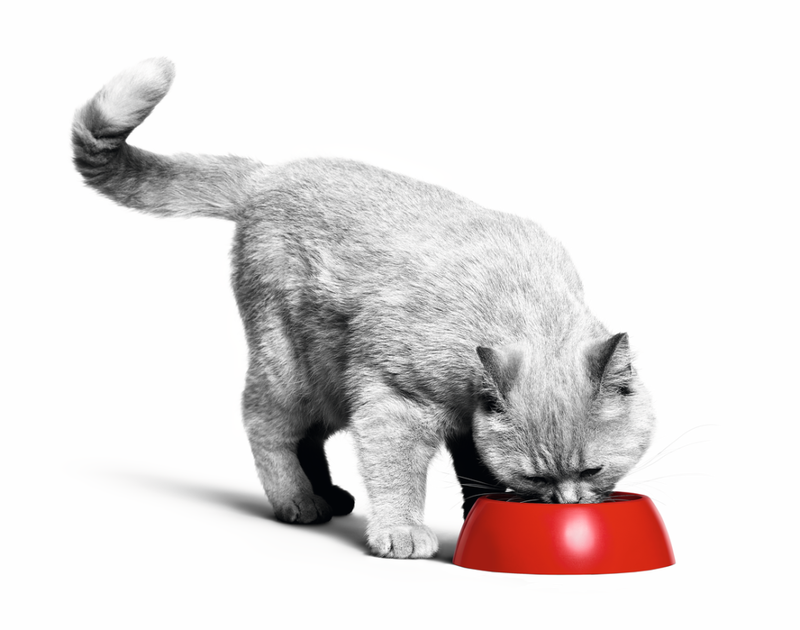 Recognising your fussy cat’s peculiar eating behaviours before implementing their new diet is essential. Browse our diverse range of nutritional and palatable cat food tailored specifically to your cat’s needs. In rare occurrences, some cats will stop eating for days if you don’t give them what they want. If your fussy cat is not eating and has gone more than 24 hours without food, there may be a health-related reason. Sometimes behaviour that appears fussy could be a sign of a digestive upset, hairballs, or the need for dental treatment. In which case you should contact your vet for advice. However, if they are not eating while you’re trying to change their diet, you should give them a little of what they’re used to after 24 hours. Remember to introduce a new diet by mixing it in with their current food before replacing it entirely. If your cat suddenly becomes fussy for the first time after never exhibiting finicky eating habits before, or if they appear to be losing weight, you should discuss the matter further with your vet.